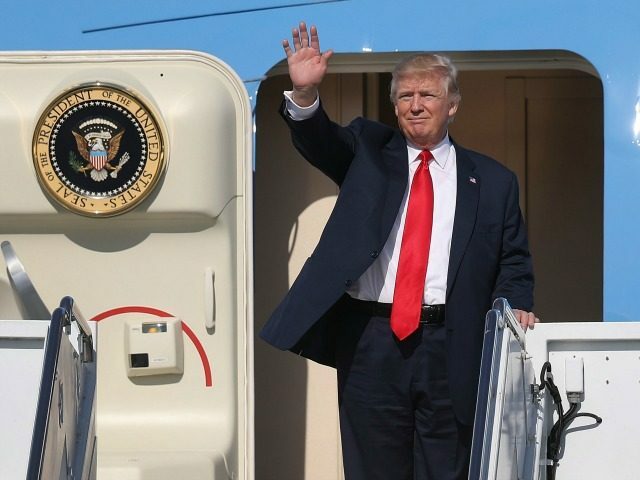 President Trump had been scheduled to fly back to Washington tomorrow morning. Now the White House says he will return early---leaving at about 8 PM this evening---nearly 15 hours earlier than planned. The president said yesterday, even before he had met with North Korea, that the nuclear talks have moved "more quickly than expected." Talks, as you will recall, that have been preceded by President Trump referring to Kim as "Rocket Man" and reminding North Korea of the power wielded by the United States. And other similar comments. Not Obama's kind of diplomacy. Susan Rice, President Obama's former top adviser and close personal friend, when asked by CBS's "Face The Nation" Sunday morning why Obama didn't try to negotiate with Kim Jong Un, said, "There were efforts at discussions." She said, "The problem is that at every turn, the North Koreans would make commitments and then break them." Rice explained, "The fact of the matter is that I believe the North Koreans were not prepared to be serious under Kim Jong Un with respect to sitting at the table until they perfected their nuclear program and their missiles." She went on to explain that she and other Obama diplomats "layered on increasing pressure" and "I think that was appropriate." And she explained that Kim wanted to perfect his nuke program before he sat down with the US---apparently suggesting that Trump just happens to be in the right place at the right time. When asked if she gives President Trump any credit for being willing to take such a "high level of risk" she said, "Well, I think, you know, it is clear that the past set of efforts have not succeeded. I am a believer in diplomacy. I am open to new methods of trying to accomplish the consistent objective that we have of full denuclearization." She says the big question is, "Are we walking in prepared?" The press was asking President Trump the same question two days ago. He told them he has been preparing for this his entire life. "No" he didn't spend a bunch of time "preparing" to talk to Kim, and "yes," he's prepared. The White House released a statement yesterday that said: "The discussions between the United States and North Korea are ongoing and have moved more quickly than expected." Have the terms of the deal been moderated? "The complete, verifiable and irreversible denuclearization of the Korean peninsula is the only outcome that the United States will accept." Clearly, there is a striking contrast between President Obama and President Trump. In a speech 2 years ago this month President Obama told the Canadian Parliament that we all must embrace "globalization and the international order." Without naming Trump, Obama told the Canadians that the Republican presidential candidate is playing on people's fears of globalization. He said, "Politicians, some sincere and some entirely cynical, will tap that anger and fear, hearkening back to bygone days of order and predictability and national glory, arguing that we must rebuild walls and disengage from a chaotic world, or rid ourselves of the supposed ills brought on by immigrants, all in order to regain control of our lives." He called on PM Trudeau and all Canadians to "build this world anew," a.k.a., "make progress." We all know where this secular "progress" has led. And ultimately will lead. Founding Father Patrick Henry warned that "When people forget God, tyrants forge their chains." Secular progressivism not only "forgets" God, but evicts Him from the culture. Another flashback--- to Obama's "bygone days." While it is clear Obama was talking about Trump. He was also talking about Reagan. In May 1988, President Reagan and his wife Nancy stepped onto Russian soil. That is not unlike Trump meeting with North Korea today. It was a big deal. It is a big deal. "An American president hadn't been there and then this president on top of it, someone who called out communism, said it would be on the 'ash heap of history' and said that the Soviet Union was really the 'evil empire' and gave that speech at the Berlin Wall saying 'tear down this wall Mister Gorbachev.' For that president who had been so aggressive, to being there in the heart of Communism was quite an event." Baier says in his book about Reagan, "He was constantly saying there needed to be religious freedom, and in one conversation over dinner he talks about his son, Ron, who is an atheist, and he said he wanted to have a giant meal laid out and after Ron finished the meal, ask him one question, 'Do you think there was a cook?' and he turns to Gorbachev and says, 'How do you think he would answer?' Gorbachev smiles and answers, 'Yes, there is a cook'..."
Baier says, "The Moscow summit is a perfect example of how history can serve as a guide to understand where we're going or even where we are." Last night President Trump was asked to forecast the outcome of his meeting today. The outcome of this historic meeting today has many implications. None the least is that of two very different, competing worldviews and visions for America. Shining City on a Hill? Or merely one of the bunch?